ALLSPEED EXHAUSTS are a brand that any two-stroke junkie will be well aware of. For many they were the choice of a generation of stroker fans, writes Scott Redmond. Now they’re back in business – thanks to CMM friends Tony and Claire Greenslade at Gibson Exhausts. 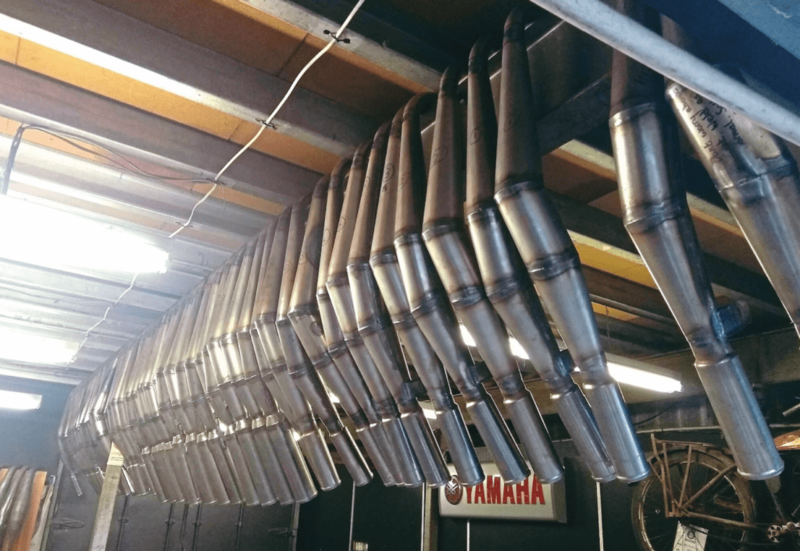 Let’s start our story with Peter Gibson, a former docker and motorcycle racer who was developing one of the most iconic motorcycle exhaust brands in the UK. Based in Noak Hill, Romford, it was around five miles from where a young Tony Greenslade was dressed up as a robot (cardboard box), enjoying a Silver Jubilee street party in Pretoria Road, around five miles away as the Fizzy flies. The year was 1977. Allspeed expansion chambers were a result of Peter making some exhausts for his race bike several years earlier. This led to fellow racers asking him to make exhausts for them. This snowballed into a range of expansion chambers for most of the two-stroke machines in the 1970s and ’80s. It was a couple of years later that Tony’s and Peter’s paths first crossed, not that either would have known it. Tony grew up at 40 Pretoria Road. Every day he would walk to school past the small factory at number 28. 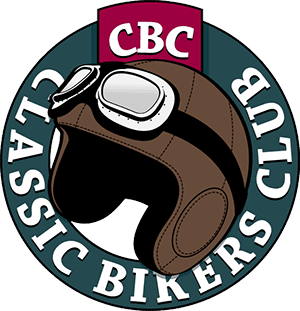 His only knowledge of the factory was the big skip outside that his father would take scrap metal from to repair his old BSA. This factory on a back street in Romford was Allspeed Manufacturing. In 1984 Tony moved three miles away and the factory closed soon afterwards. The old factory site is now a block of flats. Fast forward to 2002 when the paths of Tony and Peter would cross again. By now Tony was a big RD350LC fan when he visited Peter Gibson at his Gibson Exhausts workshop in Noak Hill, Romford. His sole purpose was to see if Peter would make some Allspeeds again. Peter still had the original patterns, jig and tooling covered in inches of dust in the corner of the workshop. After a lot of persuasion Peter made 10 sets for Tony, which were sold before there was a chance to advertise them. The rest is history. 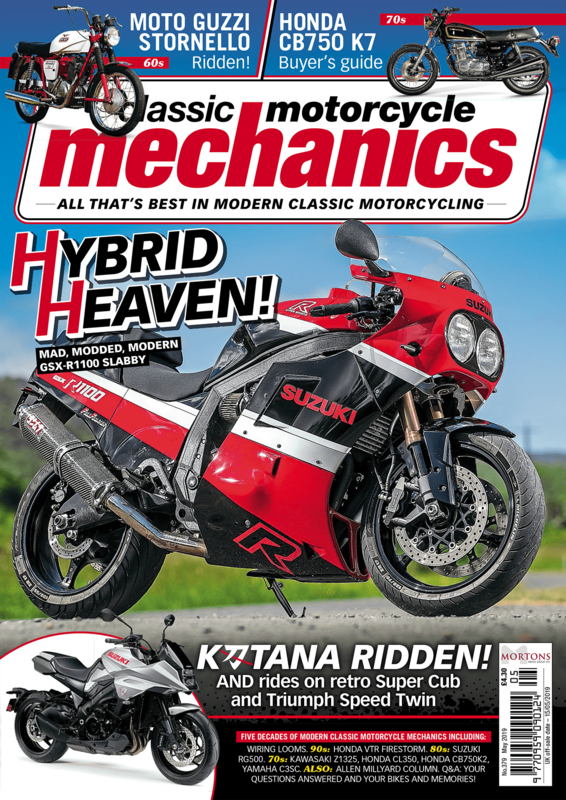 Read more of Scott’s report and his Q&A with Allspeed in the April issue of Classic Motorcycle Mechanics – out NOW!